An abrupt halt to extracurricular activities by the nation’s schools is weighing heavily on the minds of some parents, as teachers continue their protest action while the government and the public sector unions are yet to reach an agreement on the issue of gratuity. The government and the various trade unions have resumed negotiations, however a follow through on the threat made by the government to deduct on the salaries of teachers who did not report to work may have reignited tensions which later prompted GUT President Lydon Lewis to make good on his promise to have teachers commence work to rule. This action will see teachers showing up before the start of each school day and only conduct tasks related to the classroom but will not see them going beyond the call of duty. Following the docking of teachers’ salaries, the government has moved to rectify an error made in the deductions after several teachers who reported to work or who were either on leave from work due to illness or maternity leave also had their salaries deducted. A press release was issued by the government informing those teachers effected that payments have been made to several banks and credit unions. As of Monday, several schools have teachers have cancelled all activities and some parents are not happy with the way in which the situation is being handled both by the government and the public sector unions. 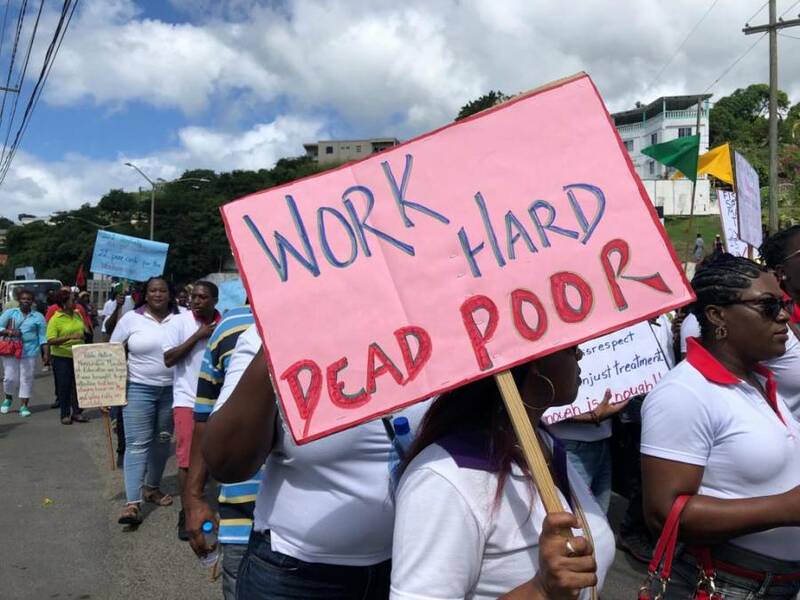 Although many parents who were interviewed on the streets of St George’s opted to either avoid discussing the topic openly or to remain anonymous, they are of the view that the impasse continues to have a negative impact on the nation’s youth.